I know I'm usually all about bulldogs - but I have a real soft spot for pitbulls, too! 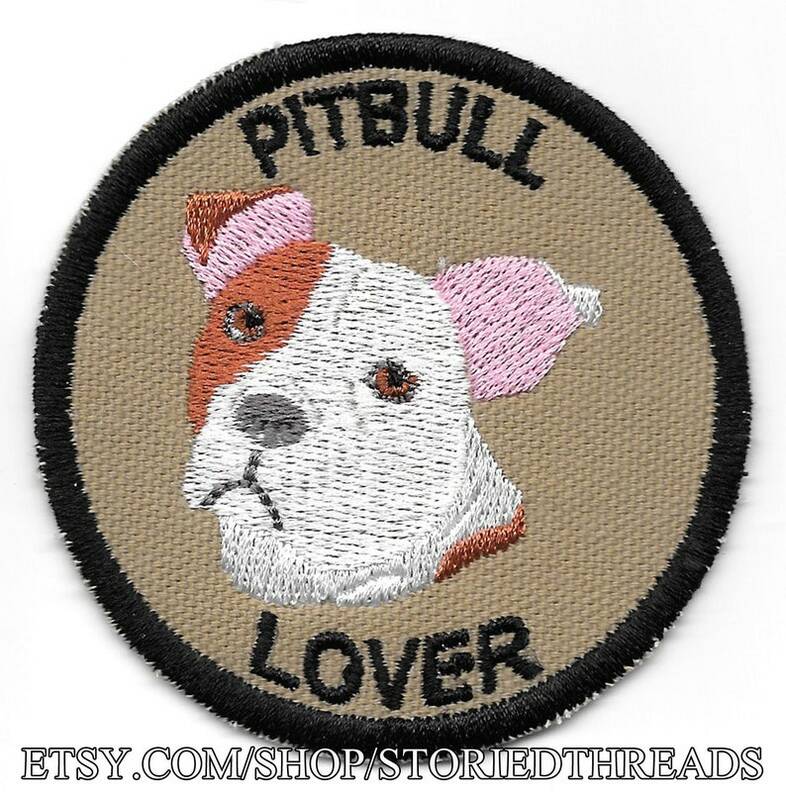 Our Pitbull Lover patch is modeled after my good friend Celia Mae, who kindly lent her face to this endeavor. This sew-on patch measures 3" in diameter and is stitched on olive khaki cotton canvas.